Hypothesis: the research page. Residents and research: what does it take? You are going to email the following Hypothesis: the research page. 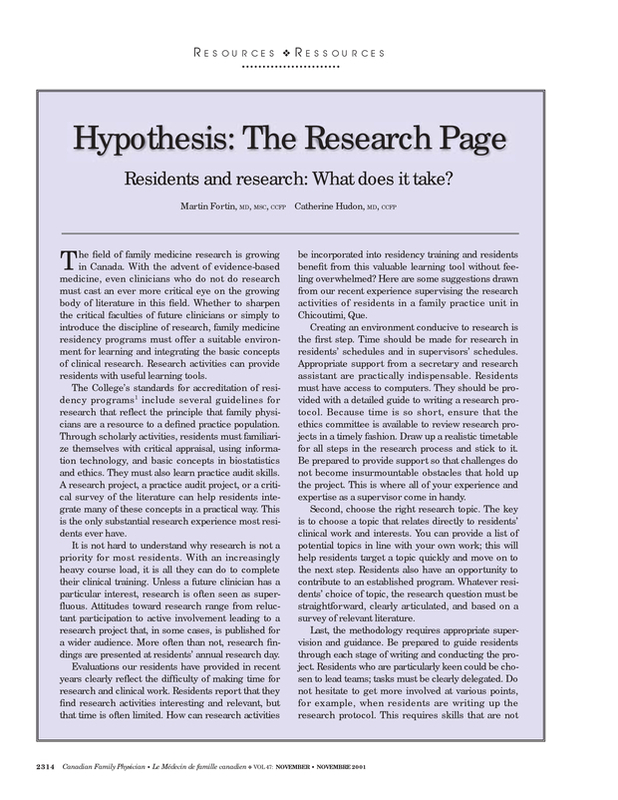 Residents and research: what does it take?